Registrations opened On Saturday, Feb 7 and were filled before noon. Email Rob@TalbertFineArt.com to join the waiting list. 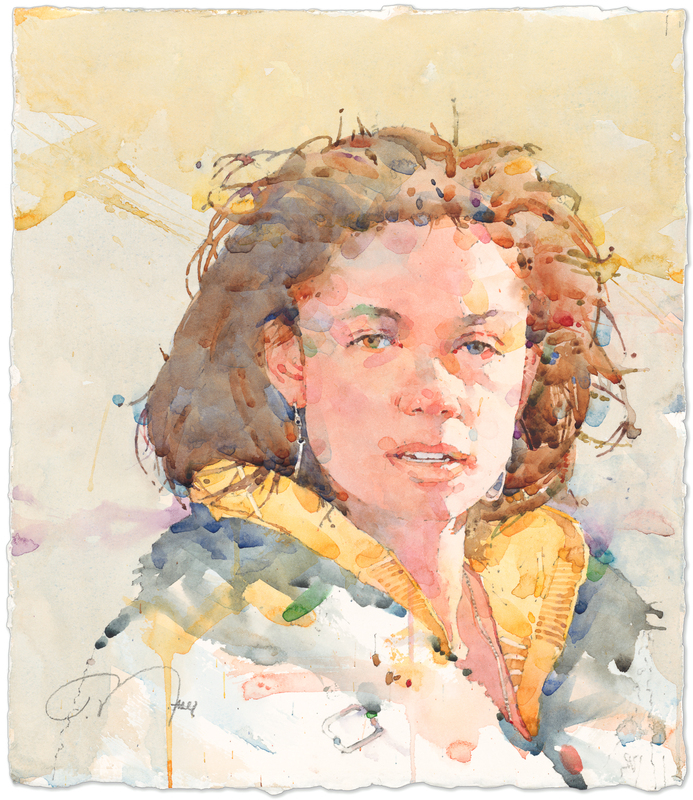 The Baltimore Watercolor Society is pleased and excited to host Ted Nuttall in a four-day workshop from Monday, April 27, 2015 through Thursday, April 30, 2015 at the Hawthorn Center in Columbia, MD. Although painting a person in watercolor may seem daunting, it is every bit as approachable as creating a still life or landscape. Ted Nuttall demonstrates the techniques, and instills the confidence to enjoy painting people. Ted will discuss the benefits of photographic reference, as well as how to interpret a photo in order to give life and energy to the subject. In Ted’s daily demonstrations and presentations, he shares his personal approach to painting – plus he introduces the work of other artists with the objective of inspiring enriched seeing and thinking skills. What’s more, significant time is allowed for one-on-one instruction. In an atmosphere that’s both creative and supportive, Ted encourages, in each participant, a renewed enthusiasm for his or her art – regardless of their skill level. Contact Rob Talbert at Rob@TalbertFineArt.com if you have trouble downloading or reading the supply list document. Ted’s paintings continue to win awards in juried exhibitions throughout the country. And his work has been featured in numerous national and international art publications. Most recently, he was a featured artist in both the 2014 Russian publication "Masters of Watercolor" and in the 2013 French publication “Pratique Des Arts”. 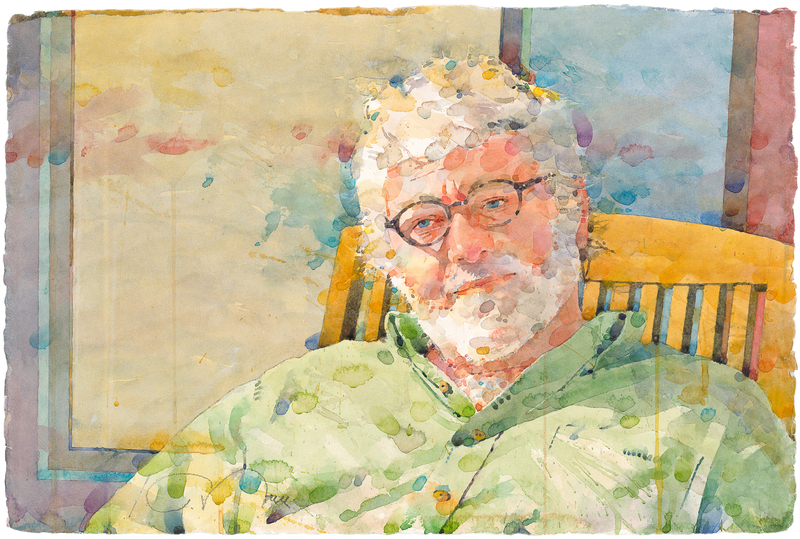 Ted was the featured cover artist for the February 2014 issue of Watercolor Artist magazine. Ted’s work has been published in North Light Books', Splash 8 and Splash 10, and his painting "Whispering Smith" appeared on the cover of Splash 12. For as long as I can remember, I have been a fascinated spectator of human behavior – the quintessential people watcher. I naturally seek the unique character in everyone I encounter. Often, as I observe someone in his or her everyday environment, I am rewarded with a moment when a gesture or expression combine with the play of light and shadow. A contemplative smile, hands cradling a book or carefully tying a shoe, a shadow cast by a pair of wire-rimmed glasses – and there occurs a pivotal instant when a story appears. The price for the workshop is $450 for BWS members (Signature Artists and Associates) and $500 for non-BWS members. NEW RESTRICTED REGISTRATION PROCESS: READ CAREFULLY! Registrations for this workshop will open on February 7, 2015 for BWS members. Registration is on a first-come, first-served basis. Registrations for two other 4-Day BWS workshops to be held in 2015 will also open on February 7. (Mark Mehaffey - June 2-5 and Laurie Goldstein-Warren - October 19-22). From February 7 until February 14, BWS members may register for ONLY one of these 4-day workshops. This is to help ensure that more BWS members are able to get into at least one of the longer workshops in 2015. On February 14, registration for all three 4-day workshops - Nuttall, Mehaffey, Goldstein-Warren - will be open for all BWS members to register for any open spots in any of the 4-day workshops. On February 28, registration for any remaining open slots will be open to the public. BWS maintains a workshop waiting list for BWS members for workshops which are filled or restricted. When openings occur, BWS fills the openings from the waiting list on a first-come, first-served basis. BWS adds names to the waiting list according to the date and time BWS receives the email request. You can also join the waiting list during the restricted registration period of February 7-14 if you wish to register for a second or third workshop. You can't join a waiting list before registration opens on February 7, 2015. Email Rob@TalbertFineArt.com to join a workshop waiting list. Paid registrants who cancel before March 27 will receive a full refund less a $25 cancellation fee if the spot can be filled from the waiting list. If the spot cannot be filled, the amount refundable is 80% of the workshop price. Paid registrants who cancel after March 27 will receive a full refund less a $50 cancellation fee if the spot can be filled from the waiting list. If the spot cannot be filled, no refund will be given. Questions and requests to be added to the waiting list can be directed to Rob Talbert (BWS Workshop Chair) at Rob@TalbertFineArt.com.